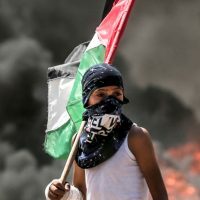 Hamas took over demonstrations initially organized by grassroots Gazans critical of Hamas rule, and that there is widespread bitterness against Hamas for the copious blood shed without tangible benefit. The Palestinian Authority has been “dragging its feet” to return to Gaza, despite the energetic efforts of Egypt to make this happen. Netanyahu would like to provide more humanitarian assistance to Gaza but fears Naftali Bennett and other politicians to his right, attacking him for being “soft” on Hamas. One can still listen by clicking here.